Solve It! 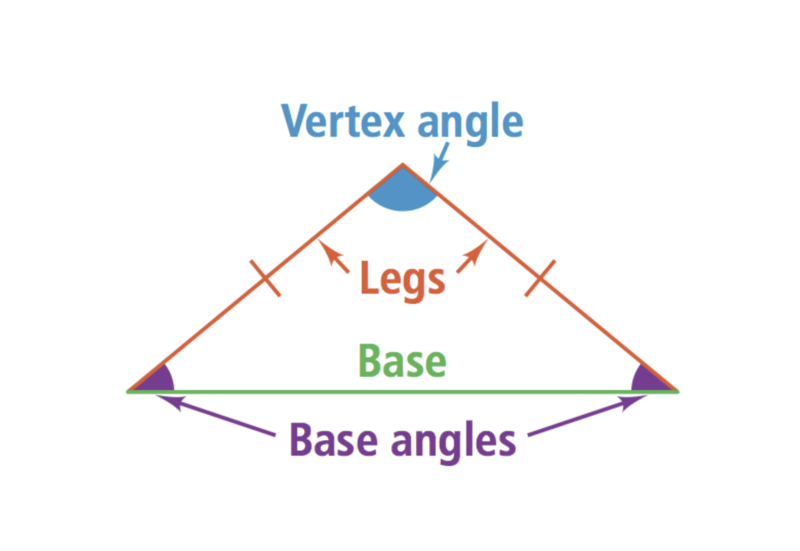 The triangles of the same color in the Google Drawing you copied above are congruent. Complete the following steps. 1. 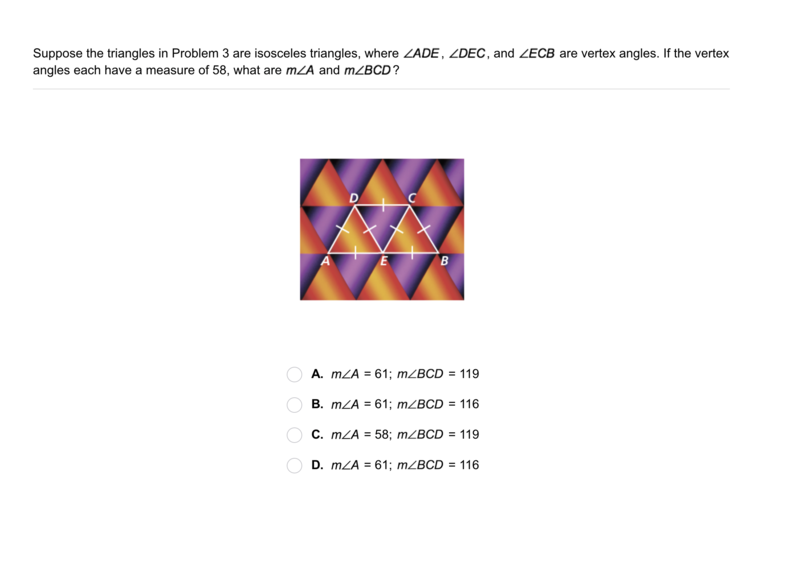 Arrange the triangles to form one large triangle using the Google Drawings to drag, flip, and rotate individual triangles, but do not resize them. 2. 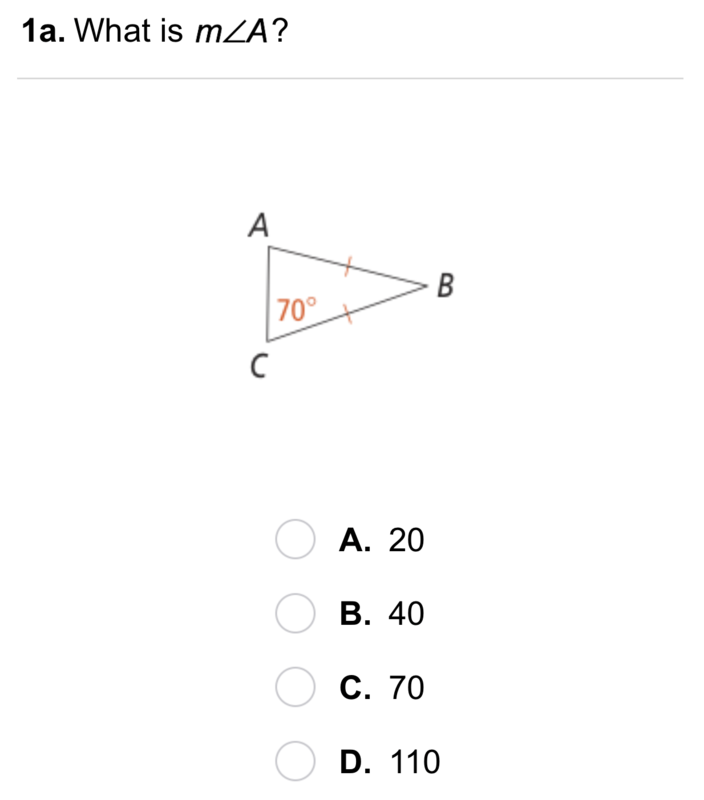 Screenshot your final triangle and upload the image to the canvas. Solve It! 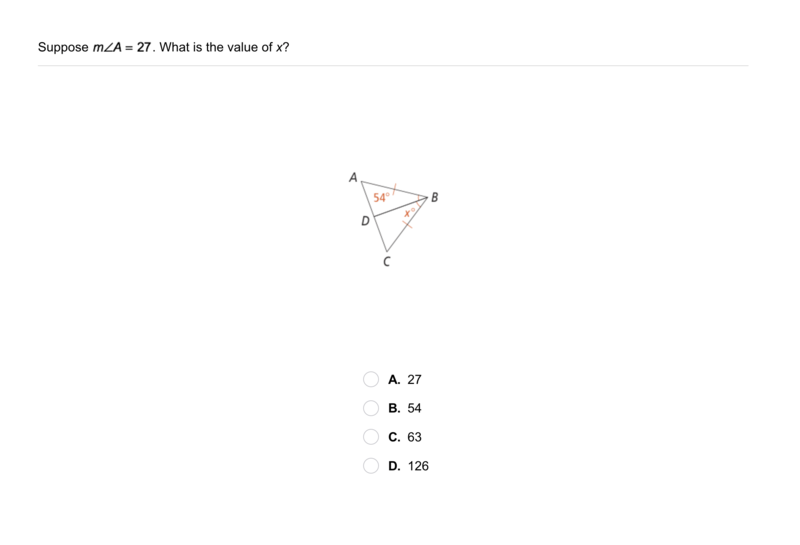 Classify the large triangle you created by its sides. Solve It! 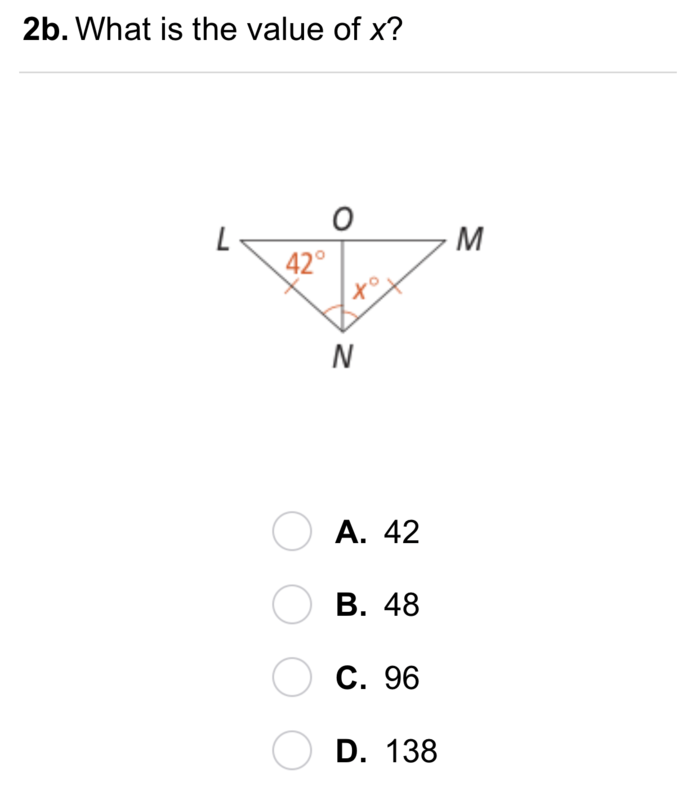 Which of these measurements represent angles in the large triangle you created? Problem 1 Got It? Is ∠WVS congruent to ∠S ? Problem 1 Got It? 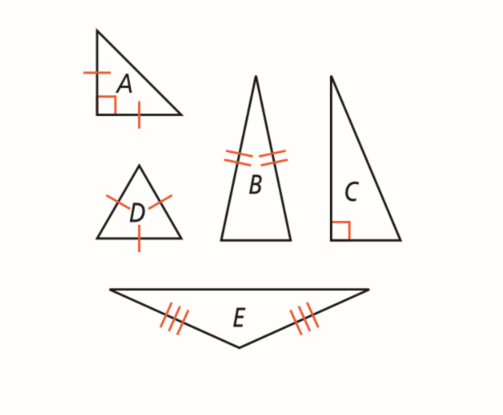 Is segment TR congruent to segment TS ? Problem 1 Got It? Reasoning: Can you conclude that △RUV is isosceles? 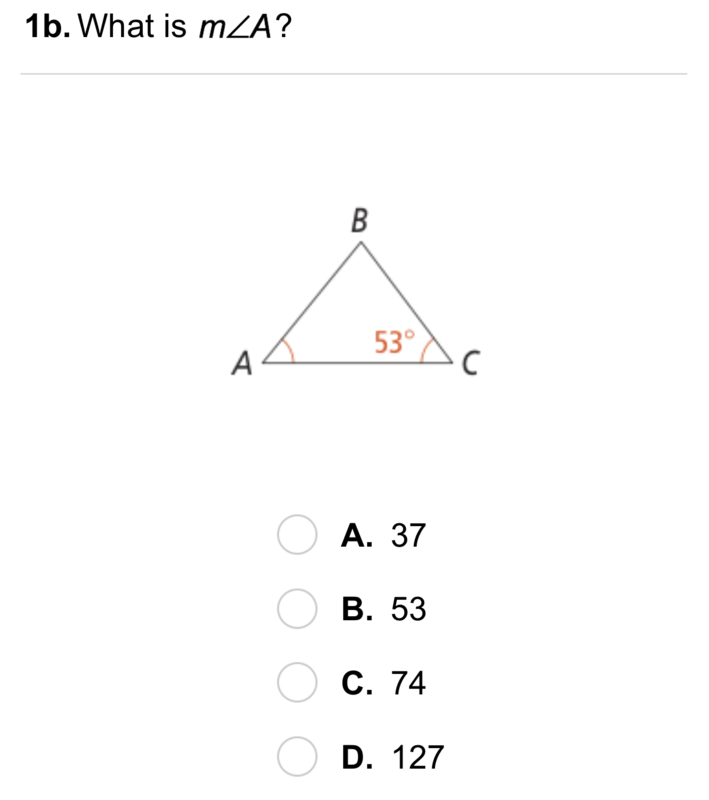 Reasoning: What is the relationship between sides and angles for each type of triangle? Error Analysis: Claudia drew an isosceles triangle. She asked Sue to mark it. Explain why the marking of the diagram is incorrect. Review Lesson 2-1: Find the next two terms of the sequence. 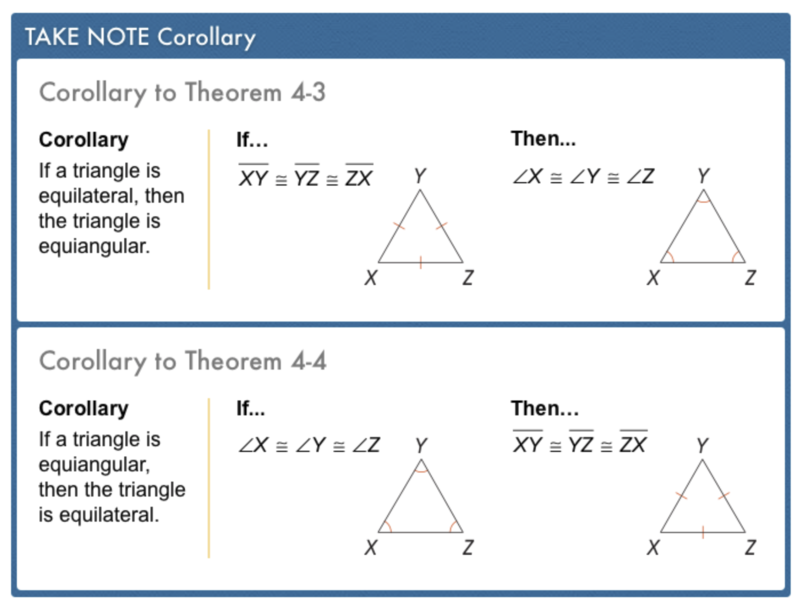 Review Lesson 4-2: Can you conclude that the two triangles are congruent? Explain. 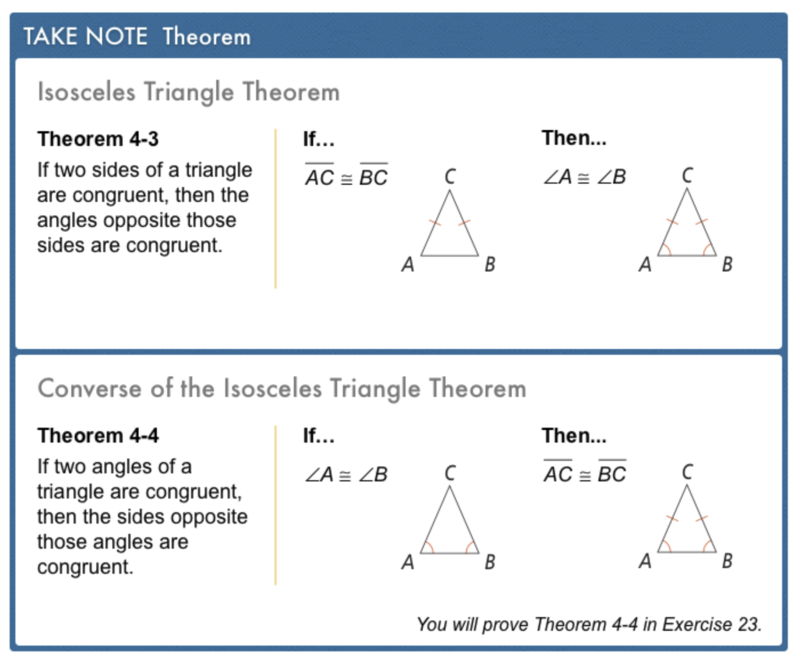 Yes, they are congruent by SSS. Yes, they are congruent by SAS. Yes, they are congruent by AAS. Yes, they are congruent by ASA. 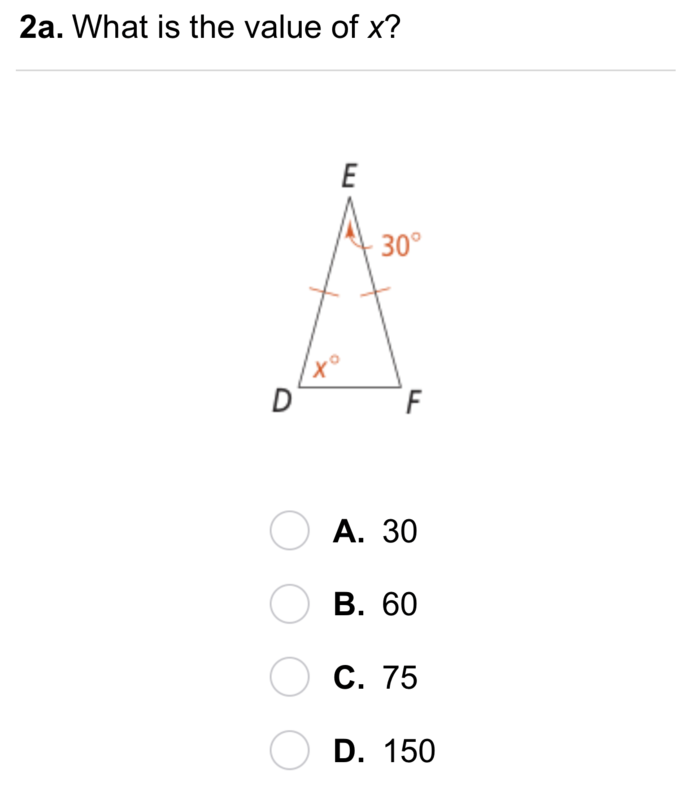 Use Your Vocabulary: Classify each of the triangles. 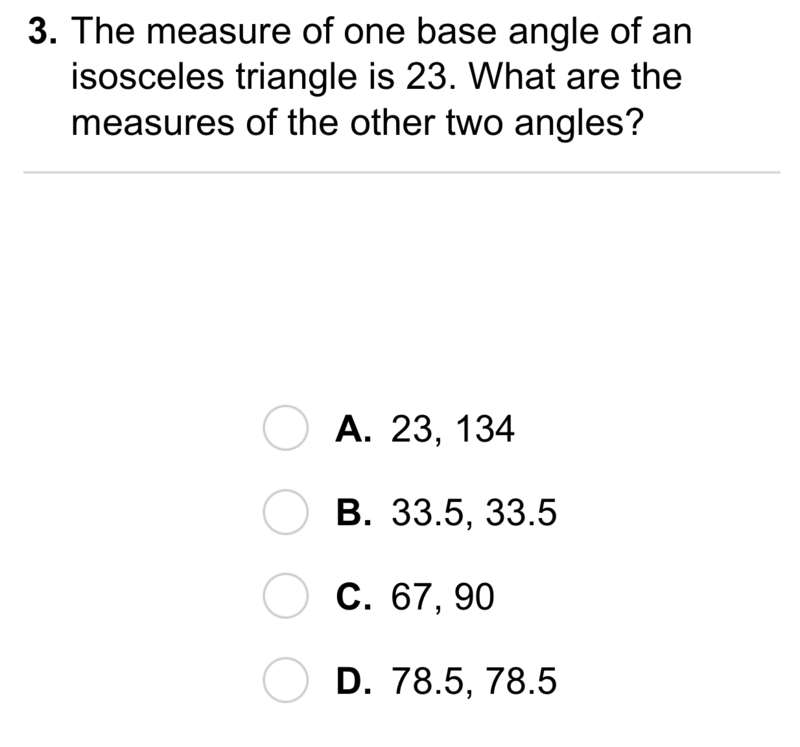 Triangles may be placed in more than one category.